Bandura can perform checksum calculation on source and target disks. To save time, checksum calculation can be performed simultaneously on two hard drives. 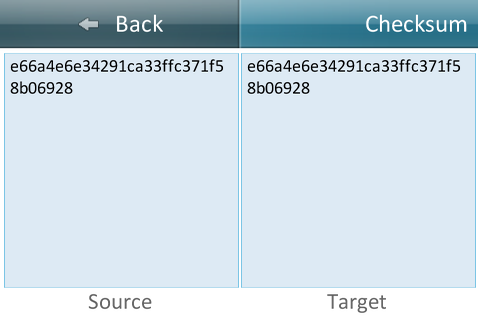 Supported checksum algorithms: MD5, SHA1, SHA224, SHA256, SHA384, SHA512.